Journalist Chris Forrester is reporting at Advanced Television's infosite that Madrid-based Hispasat has won a contract from Mexican telecoms company Wibo to supply satellite broadband and an IP-based telephony service for Mexican consumers. 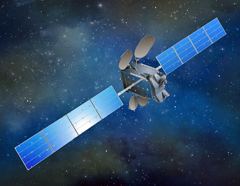 Hispasat is using their Amazonas 5 satellite as the Ka-band service provider, as well as continuing with its existing Ku-band services from Amazons 3. The intention is to supply connectivity to rural regions of the country where broadband is poor or non-existent. These services will be managed from Hispasat’s teleport in Ixtlahuaca de Rayón (in Mexico). Wibo says it has defined different service and price packages which are tailored to the different needs and budgets of all users. The solution offers users a wide catalogue of products without the need to sign up for a specific defined period. Wibo is a pioneer in offering telephony and direct internet to the home in more than 1,500 remote rural communities, located in 28 states of the country.